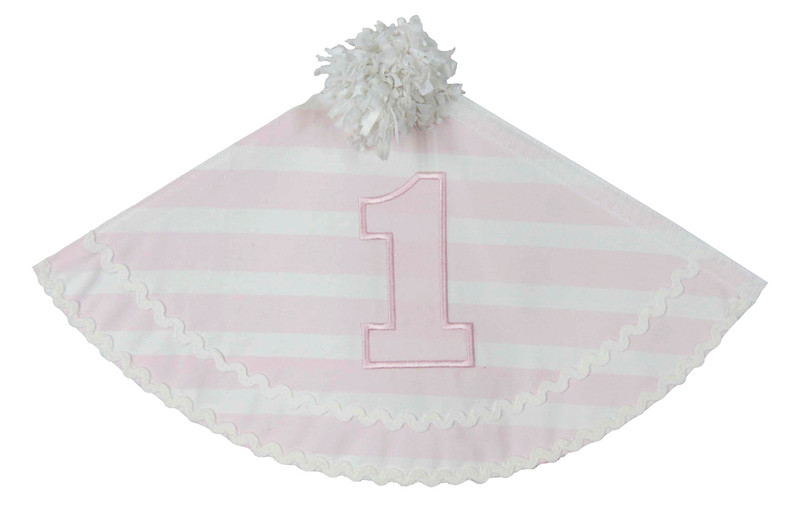 This adorable little pink and white striped birthday hat is made by Ruffle Butts. 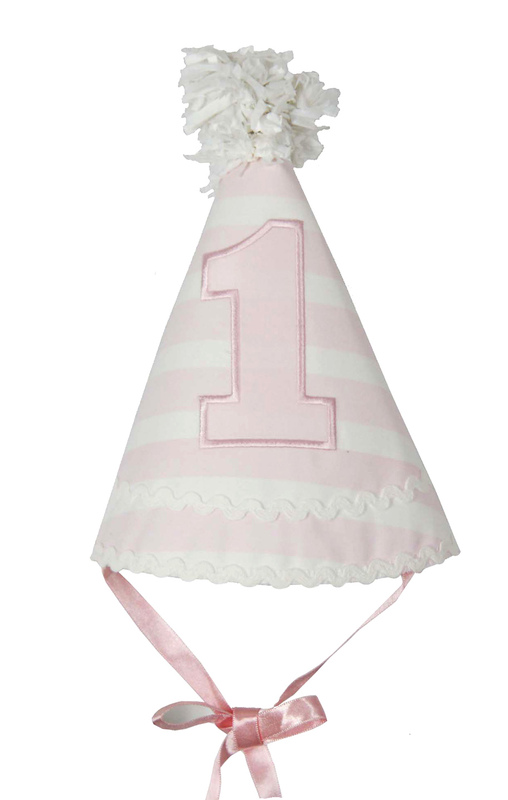 It features a pink number 1 appliqued on the front and a white tassel on the top. A double row of white rickrack finishes the hat. The back closes with a velcro strip. (Picture left shows hat lying flat unassembled.) Attached pink ribbons tie under baby's chin. 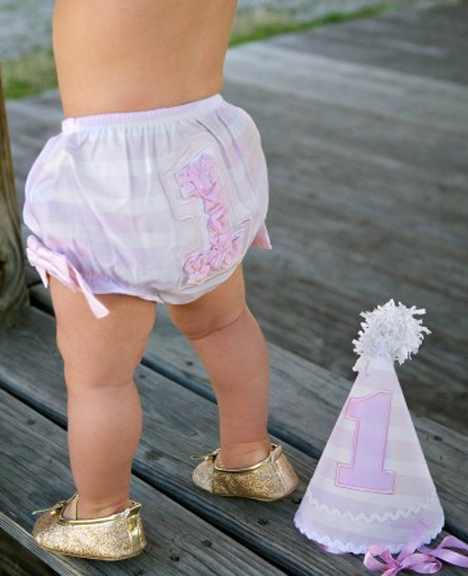 Perfect for your baby's birthday portraits or party! 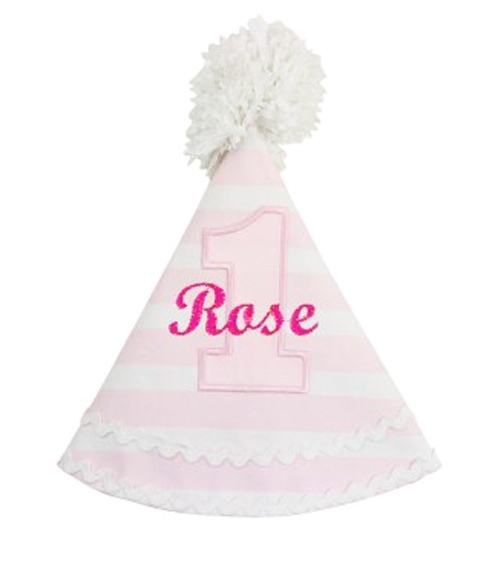 For an additional $15 charge, this darling birthday hat may be custom monogrammed with a full name (up to 8 letters). See font styles. For more information about monogramming, see monogrammables section. Grammie's Attic has a wonderful collection of beautiful birthday outfits for your baby or toddler including dresses, rompers, shortalls, and capri sets, as well as some lovely keepsake gift ideas. Be sure to see all of our lovely birthday apparel and gifts. Grammie's Attic has a special collection of monogrammable items, including darling diaper covers, birthday collars, daygowns, baby linens, and unique custom made burp cloths. We're continually adding to this collection. Be sure to see all of our lovely monogrammable items!